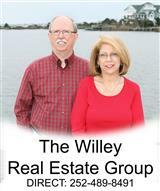 Searching For An Outer Banks Home/Property For Sale? Outer Banks real estate continues to be a great investment and our communities – are an attractive place to raise a family or retire. A great variety of second and vacation homes make it easy for You and Your family to experience island living at its best and enjoy Outer Banks home ownership! We hope You enjoy browsing through our website and find it a valuable online source of information about the Outer Banks and our real estate market. Provided on this site is a wealth of knowledge including helpful links and maps of the area. We have added some of our personal favorite restaurants in the area and exceptional places for those who are visiting. Please return often for the latest property updates. Looking for an Outer Banks property? Search everything offered from the Outer Banks Association of Realtors Multiple Listing Service (OBAR MLS) has to offer, right here! 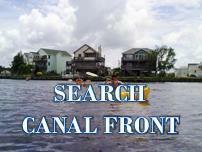 Search by Oceanfront properties and Soundfront properties! 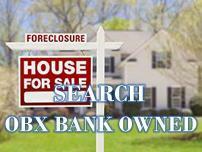 Search by Bank Owned Properties and Short Sales! Even search by town (point and click on the link located on the right). We specialize in Nags Head, Kill Devil Hills, and Kitty Hawk real estate, as well as homes and/or properties located throughout the Outer Banks of North Carolina. Don't forget to look at our Featured Properties! If you are interested in selling in today's market, we have an aggressive marketing plan which will expose your home to buyers worldwide. 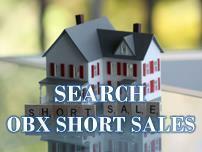 We are also experts with short sales and foreclosures. These are complex transactions and you need the advice of a professional. We look forward to negotiating on your behalf. We love the Outer Banks and it seems that the rest of the world is catching on! Our barrier islands have become a popular vacation destination and the cluster of our charming seaside towns offer a scenic natural setting for primary residences, second and vacation homes, and investment properties. Trusted journalists and travel review outlets highly rate the Outer Banks for its diversity and broad appeal to families, couples, and seekers of outdoor recreation and adventure. Here is some of what the world is saying about our barrier islands: The Huffington Post has named Nags Head in a top 10 list of under-the-radar American hot spots, compiled by TripAdvisor. National Geographic named the Outer Banks as one of the "Drives of a Lifetime". Coquina Beach in the Cape Hatteras National Seashore, near Nags Head, NC is listed by Fodor's as one of the 7 Best Family Beaches in the East, and Forbes Traveler has named Nags Head, NC as one of America's Favorite Beach Towns. The town of Kill Devil Hills, NC is ranked by Surfer magazine as #6 of its Ten Best Surf Towns in America. 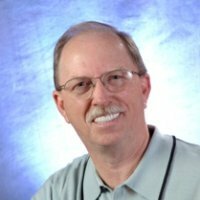 The Travel Channel lists Duck, NC as one of its Best Beaches and national beach expert Dr. Stephen Leatherman a.k.a. "Dr. Beach" has ranked Cape Hatteras as one of his 2014 Ten Best Beaches in America. With rave reviews like these, the Outer Banks of North Carolina is fast becoming the preferred choice for families looking for value-added vacations closer to home with all the fun in the sun. Contact us with your personal wish list for free information and area listings! Let us put our knowledge, experience, expertise, unparalleled service, and dedication to work for You! We guarantee Your privacy will be respected. And we offer the services on this site for free and without obligation. Why? We want to be Your REALTOR®. As Your trusted, professional real estate partner, we will help you find the best Outer Banks home that meets your selection criteria and within Your price range and/or together we will sell Your home, for as much as the market will bear, and as quickly as possible. Click on Town for Listings! This is a one-stop real estate website for all your home buying and selling needs in the Outer Banks of North Carolina.